Nikolai Aleksandrovich Kozyrev was born in St. Petersburg, and by 1928 he had graduated from the Leningrad State University. In 1931 he began working at the Pulkovo Observatory, located to the south of Leningrad. He was considered to be one of the most promising astrophysicists in Russia. Kozyrev was a victim of the Stalinist purges of the Pulkovo Observatory. Started by the accusations of a disgruntled graduate student, most of the observatory staff died as a result. Kozyrev was arrested in November 1936 and sentenced to 10 years for counterrevolutionary activity. In 1942, he was sentenced to be shot by firing squad, but the court later reversed its decision. He was released from prison in December 1946. During his imprisonment, Kozyrev attempted to continue working on purely theoretical physics. He considered the problem of the energy source of stars and formulated a theory. But in his isolation, he was unaware of the discovery of atomic energy. After his release, Kozyrev refused to believe the theory that stars are powered by atomic fusion. Kozyrev was a bold thinker and was respected by prominent scientists of his time (Arkady Kuzmin, Vasily Moroz, and Iosef Shklovsky all speak highly of him), even though his work was often of a very doubtful nature. Among these theories was the claim that the polar caps of Mars were purely atmospheric cloud formations, rather than ice-covered ground. He is most noted for his observation of the transient lunar phenomenon in the crater Alphonsus on the Moon. In 1958 he observed a patch of white within the crater, and a spectrum of the area appeared to reveal an emission cloud of carbon particles. Transient lunar phenomenon had long recorded what appeared to be temporary emissions on the lunar surface, and Kozyrev's observation appeared to provide confirmation that the Moon was volcanically active. In 1953, Kozyrev attempted to analyze the phenomenon of Ashen light, a nocturnal air glow on Venus whose existence remains controversial to this day. He also made the earliest photometric measurements of the visible and ultraviolet spectrum of Venus. His calculation of the thermal balance of Venus disputed the popular theory that the clouds of Venus consisted of dust. Kozyrev argued that energy absorbed in the upper atmosphere created high altitude storms, but at the surface of Venus it would dimly lit and still. This work had an impact on the theory of Venus and Nobel Laureate Harold Urey devoted a paper to the analysis and implications of it. 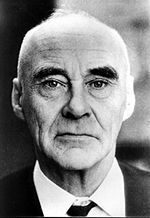 Kozyrev believed that the white poles of Mars were caused by cloud formations in the atmosphere, not ice on the surface. Due to his experiments and publications (Causal Mechanics/Theory of Time) he became one of the most controversial figures in the history of the Russian scientific community. In the 1930s, Kozyrev was considered the most promising new astrophysicist in Russia, but his arrest and long imprisonment destroyed his career during what is usually the most creative period of a scientist's life. Isolated from all news and publications, he pondered the source of internal heat in stars and planets, but was unaware of the discoveries being made in quantum mechanics and atomic energy. After his release, he struggled to recover his place in science, but his own theories were out of step with the current physics by that time. KOZYREV N.. (1980). An astronomical proof of the reality of the Minkowski four-dimensional geometry. In: Proyavleniye Kosmicheskikh Faktorov na Zemle i Zvezdakh (Manifestation of Cosmic Factors on the Earth and in Stars) ? Problemy issledovaniya Vselennoy (The Problems of Studying the Universe). 9th issue, pp.85-93. Moscow, Leningrad (in Russian). KOZYREV N.A. (1991). Selected Works. Leningrad (in Russian). KOZYREV N.A. and NASONOV V.V. (1978). A new method of determining the trigonometric parallaxes by measuring the difference between the true and apparent positions of a star. In: Astrometriya i Nebesnaya Mekhanika (Astrometry and Selestial Mechanics) ? Problemy Issledovaniya Vselennoy (The Problems of Studying the Universe). 7th issue, pp.168-179. Moscow, Leningrad (in Russian). KOZYREV N.A. and NASONOV V.V. (1980). On some properties of time discovered by astronomical observations. In: Proyavleniye Kosmicheskikh Faktorov na Zemle i Zvezdakh (Manifestation of Cosmic Factors on the Earth and in Stars) ? Problemy Issledovaniya Vselennoy (The Problems of Studying the Universe). 9th issue, pp.76-84. Moscow, Leningrad (in Russian).